A design patent covers the ornamental features of an article of manufacture. As with standard "utility" patents, a design patent must also be novel and nonobvious. For a number of years, the USPTO has allowed companies to obtain design patents on "icons" shown on a computer screen. Under the law, someone who displays a patented icon on their screen would be deemed a patent infringer subject to a lawsuit for damages. One unfortunate aspect of patent law is that it lacks any substantial fair use doctrine that would likely serve as a defense if icon-rights were asserted under either copyright or trademark law. Thus, someone who includes the icon within a work of art or a criticism could still be considered infringing. One of the recent examples of an icon design patent is Apple's U.S. Design Patent No. D668,263. Image. 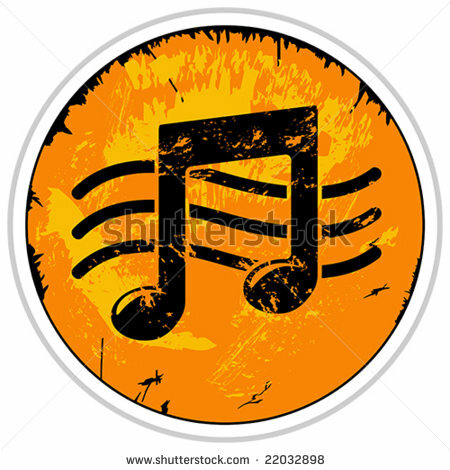 That patent covers a three-lined circle with a set of rising eighth notes in the middle. The patent was filed on October 8, 2010. That means that prior art that was published prior to October 8, 2009 would definitely be available to invalidate the patent. Can anyone suggest some prior art? According to this time-restricted google search, this image was indexed before October 8, 2009. Unfortunately, it doesn't look like there's a date on the website itself. If anybody knows a way to tell when google first indexed a page, that would be helpful. The WayBackMachine's first and only index was on November 7, 2010. Not the answer you're looking for? 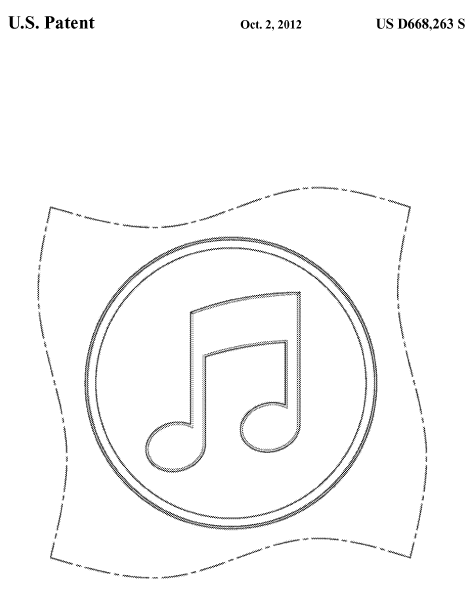 Browse other questions tagged apple design-patent prior-art-request d668263 itunes or ask your own question.